Was it supplied by Boycie ? Do you think we should make this a competition and if so who should we have to judge it ? soldiers used to trade watches when on R&R in Bangkok. Two militaries in my collection over the years . . .
Omega ref UK2292 is a great military watch and I love the patina. They're more common than their stablemate reference CK2292 . . .
Great to see three superb pieces. How long have you had your Lemania ? I got the Lemania about a year ago. Now wait just a dog-gone minute, you scoundrel! Tomorrow is Martin Luther King, Jr. Day. He was a pacifist. Excellent photos thank you for sharing with us. We have been waiting for this. What an incredible lineup ! The watches went through many changes during military service and this is an important part of its history. Great watch Abel. Can you tell us anything else about them ? I know nothing about the Hebron other than it's approximate age-40s,50s. 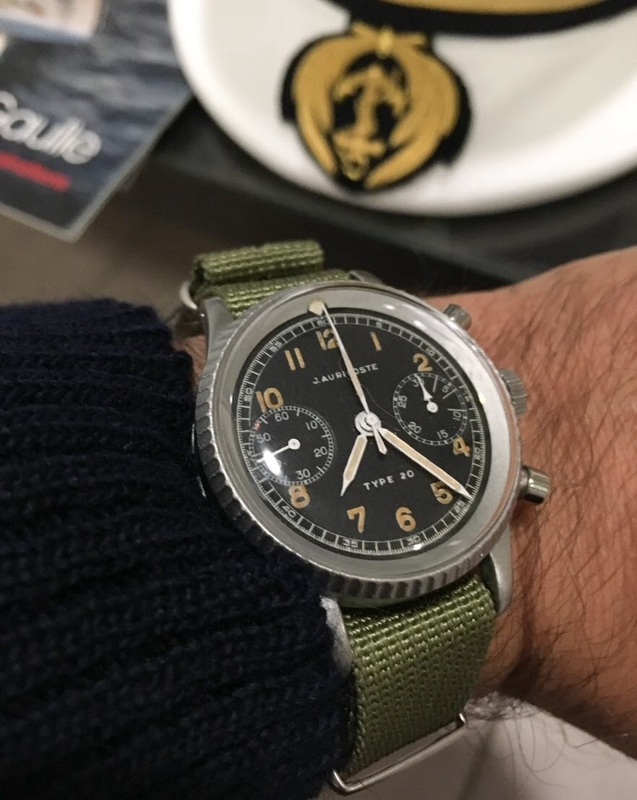 The IWC is a Kriegs Marine watch, purchased by the German Navy in 1943. 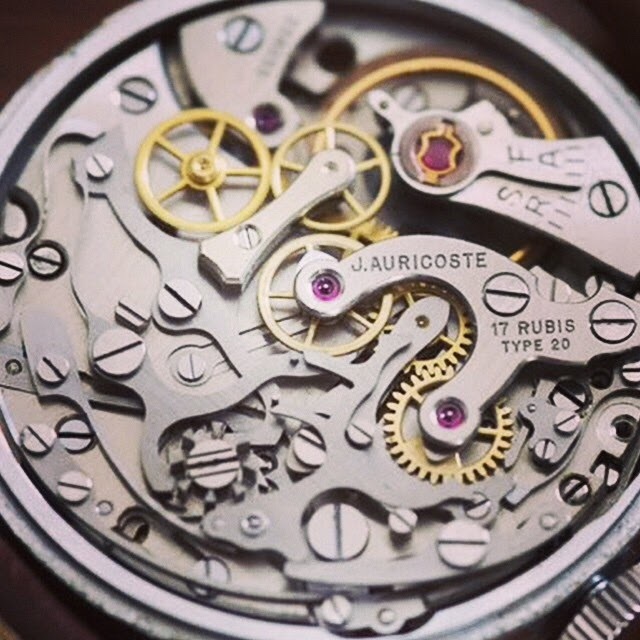 The caseback has a rather offensive etching on it that has gotten me in trouble posting it in the past. You can probably guess what it is. I wish I knew the stories. Based on the damage to the KM in particular I would say it saw action somewhere. Mine on a recent 1-year excursion to more interesting parts of this world...a constant companion. Great watch for your endeavors! If not the best. Ain’t called the Explorer for nothing. It would be worrying if you could hear more than one thing ticking ! It’s an interesting watch for its design and history. Omega 53 Pilot . . .
Not this particular one . . .
Do you still fly regularly for pleasure ? and one of my favourite Omegas. Do you know any more about its history ? Now we are in trouble.. Does a NASA approved watch also counts? Two great watches. I like the IWC and I was hoping that you could tell us some more about about them. Can you tell us more about the watches ? And this other Vintage Fifty Fathoms Milspec. and the rest of the watch ! Dial and case are specific to the RAF and Fleet Air Arm role. My Hamilton Pair, for the British Navy. Lemania, now, for the British Submariners. Great to hear about them..
A different kind of "Submariner"
and I like the sub photo ! Longines Marine Nationale and Jaeger Lecoultre SHOM. Omega Railmaster Seamaster CK 2914 Pakistani Air Force. Wow! When did you get this one my friend? I wish it could talk !